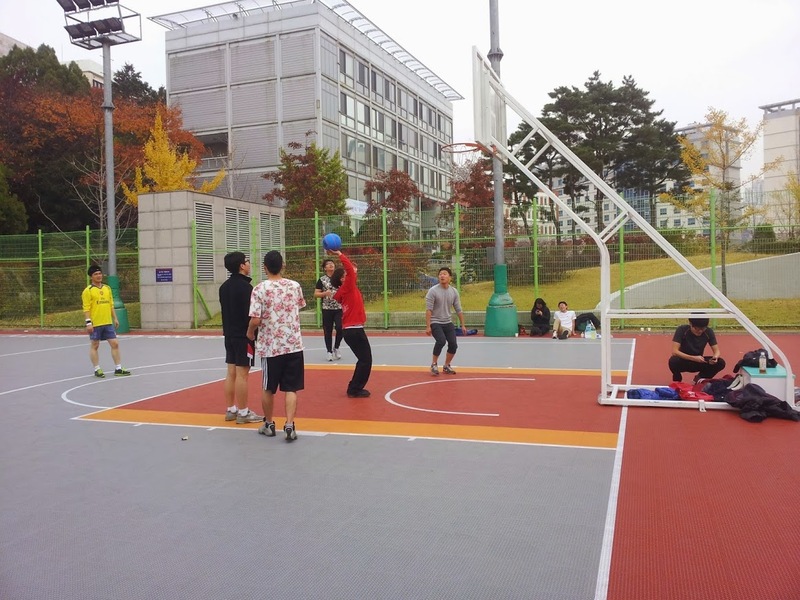 Sogang University has a lot of things going for it. There are easy-to-use tennis courts. There's a huge playing field (that stays pretty busy). 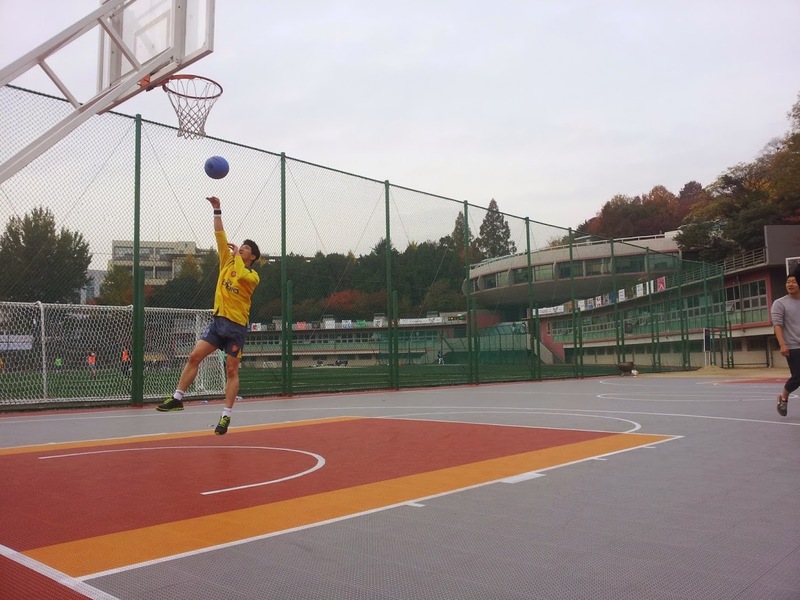 And let's not forget about the basketball courts. 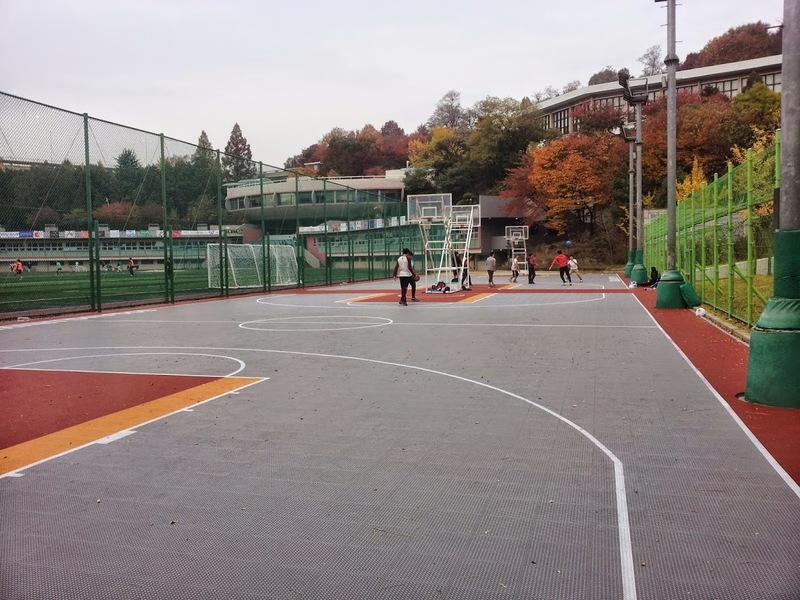 Sogang University has two full-sized basketball courts. The courts have a great color scheme, but the actual surface isn't the greatest. It is similar to Mangwon's surface. It is a bunch of plastic tiles fitted together. The grip is decent, but your ball will take a beating. Expect your ball to get scratched up. Word of advice: don't bring an expensive ball. The courts have a great color scheme. The art department must have designed them. 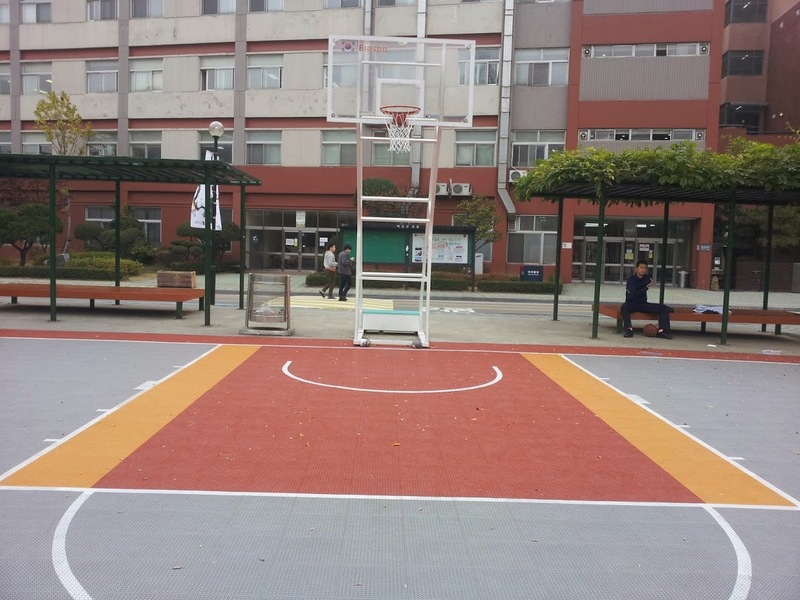 There are 2 full-sized courts. The courts have excellent lighting. The courts stay busy. Plenty of pick-up game action. The surface is weak. It is a ball killer. Looking for a place to chill after the game? Both Sinchon and Hongdae are close by. Itaewon is easy to get to. It is just a few stops down the nearest subway stop, line 6. 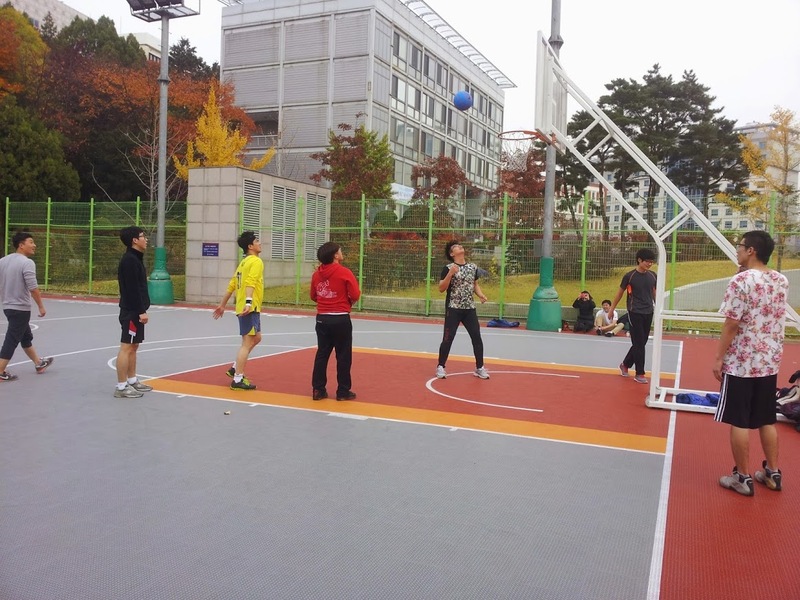 To see more photos, check out the Sogang University Basketball photo album. -Go out exit 1. Walk straight for about 10 minutes. Sogang University will be on your right. Go in the main gate. Near the parking attendant's office is a map. The map lists all facilities in English. 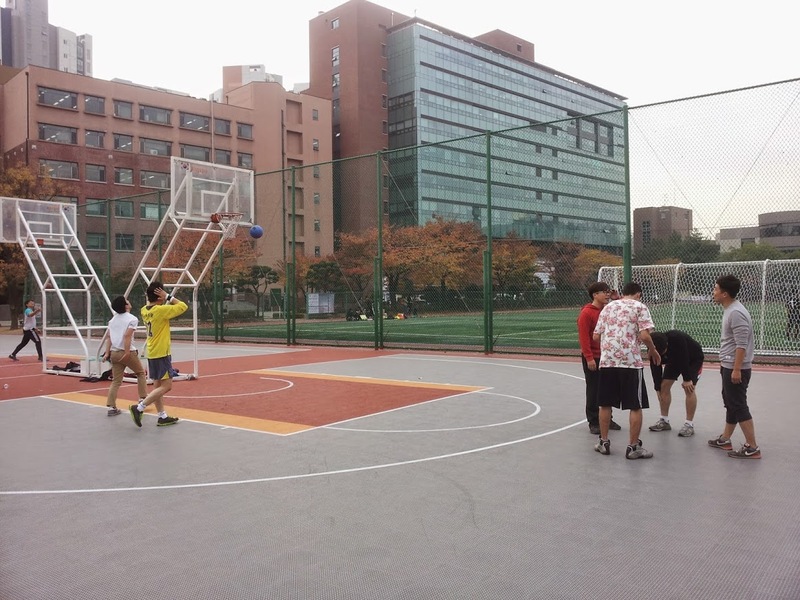 You will see that the basketball courts are at the back of the campus near the soccer field. -Use exit 6. Walk straight for about 8 minutes. The campus will be on your left. Go in the main gate. From this point, follow the directions written above.